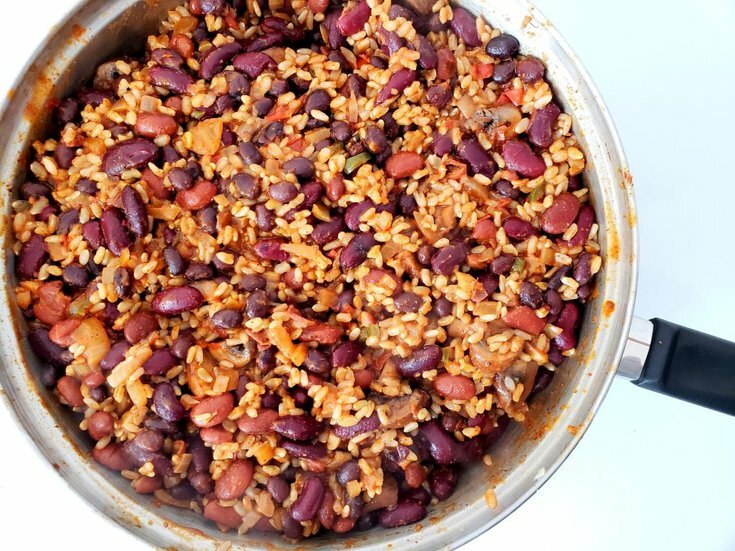 This Mexican three bean rice recipe is a perfect side dish to spice up your plate. 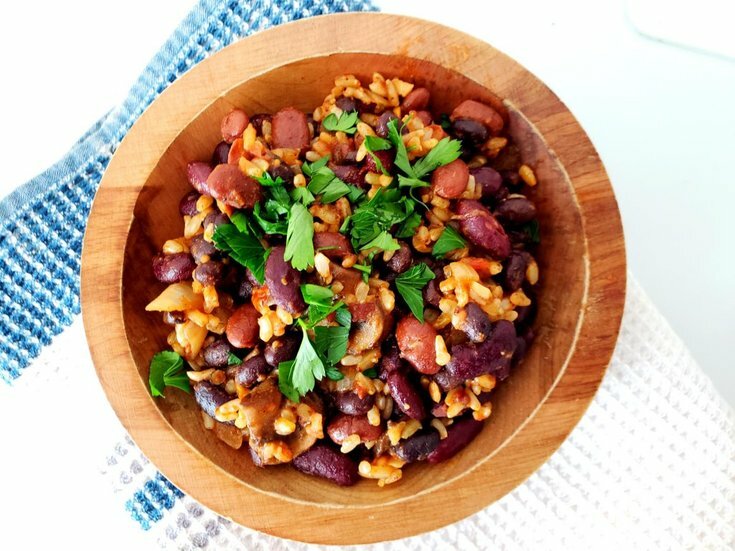 Get your serving of protein through a three bean medley and brown rice. This dish is made with a three bean medley, including kidney, black, and pinto. Since beans are digested slowly, they will help give you steady energy throughout the day. They also contain antioxidants that promote energy, which makes it perfect for meal prep or as a post-workout meal. Brown rice, on the other hand, will also help keep you energized throughout the day, along with giving you a healthy dose of nutrients and fiber. Now that we now what makes this recipe so great, lets start making it! In a large saucepan, bring the water and rice to a boil. Next, add a pinch of salt to prevent the rice from sticking. 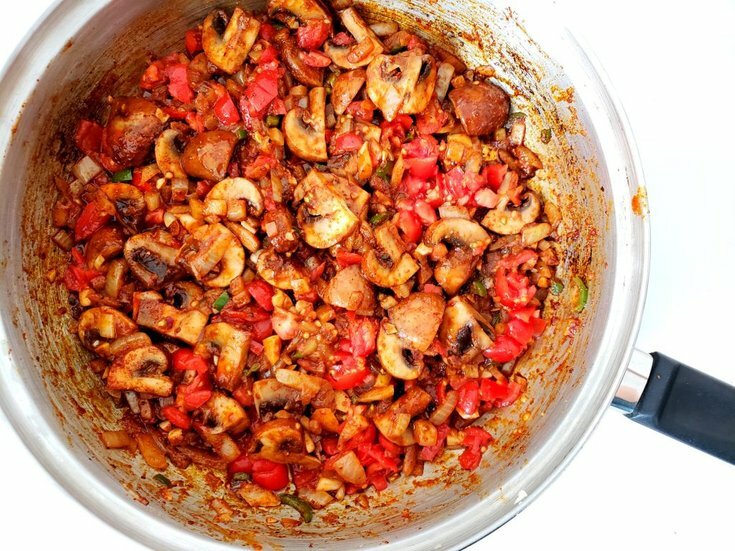 Once the water is boiling, cover and reduce heat to a simmer for about 30 minutes, or until the water has all been absorbed. 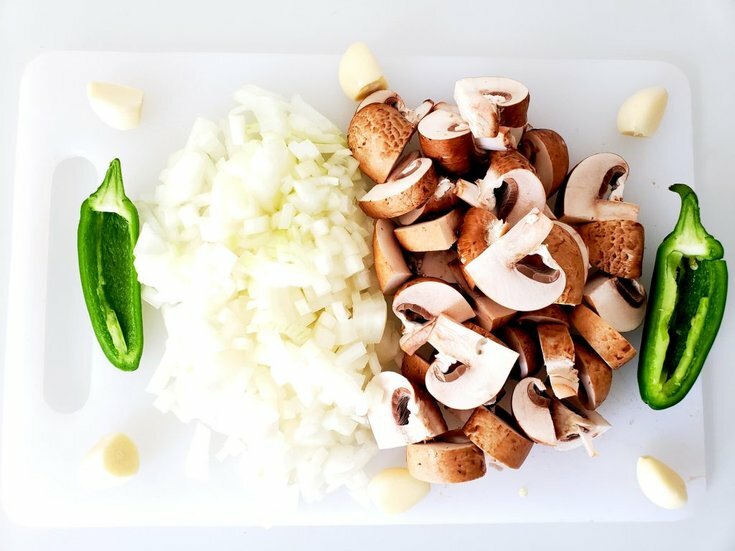 Now, finely chop the onion, mince the garlic and jalapeño, and slice the mushroom. If you want extra spice use a 1/2 a habanero pepper instead of the jalapeño. Time to start bringing all the ingredients together. In a large frying pan heat 2 tbsp of vegan butter over low heat. Then, soften the minced garlic and jalapeño for 1 minute or until you can begin to smell the garlic. Next, add the chopped onion and sliced mushrooms, along with the maple syrup. Cook for about 5-7 minutes to soften the onions. Though maple syrup may be a weird twist, it is Canada's contribution to this Mexican dish. As It helps balance the spices and gives the sauce a subtly sweet taste that is addictively good. Then, you'll want to stir in your favourite salsa, I find that a chunky salsa works best. 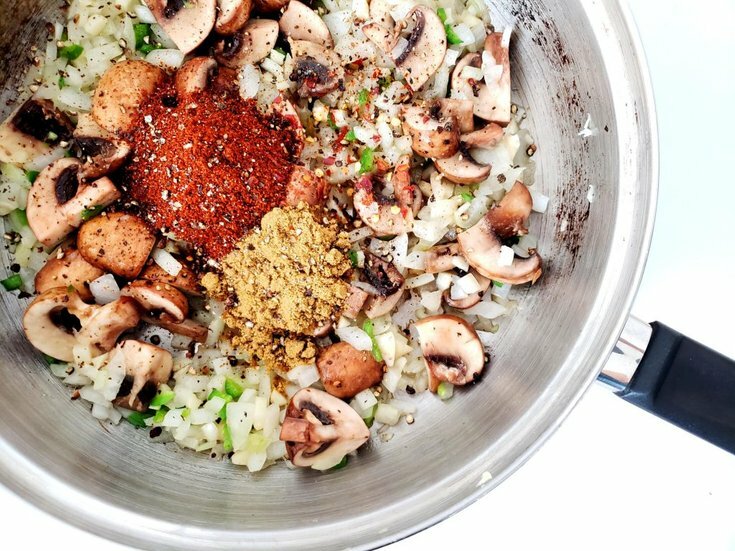 Now add the 1 tbsp of the vegan butter and all the spices-chili, cumin, salt, and pepper. Finally, turn the heat to medium, then add the beans-kidney beans, black beans, and pinto beans. Cover and let cook for 5-10 minutes to let the beans absorb the sauce. Then, add the cooked brown rice, and cook for an additional 5-10 minutes to further let the spices marinate together. Plate and serve hot. In a large saucepan, bring water and rice to a boil. Add a pinch of salt and tbsp of butter to prevent the rice from sticking. Once boiling, cover and reduce heat to a simmer for about 30 minutes, or until the water has all been absorbed. Next, in a large frying pan heat 2 tbsp of butter over low heat. Then, cook the garlic and jalapeño for 1 minute or until you can begin to smell the garlic. Now, add the onion and mushrooms, along with the maple syrup. Cook for about 5-7 minutes to soften the onions. Then, stir in the salsa, 1 tbsp of butter, and the spices-chili, cumin, salt, and pepper. Next, turn heat to medium, then add the beans-kidney beans, black beans, and pinto beans. Cover and let cook for 5-10 minutes. Finally, add the cooked brown rice. Cook for another 5-10 minutes. Serve hot.